Our work always bring interesting things our way. A few days ago I received a young Russian man working on his Doctoral PhD in a local university in my studio. With him were very old Chabad tefillin which he wanted for me to restore the Batim. Upon seeing them I remarked, these are at least over 100 years old! Yes, he remarked with much pride: "they span 5 generations!" 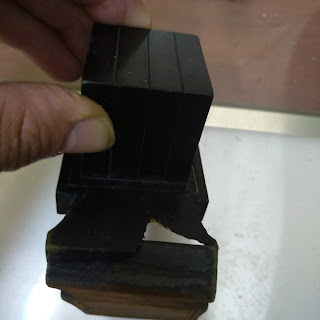 The housings are 4.4 cm x 4.4 cm and are painted with a hard shinny lacquer finish similar to those used in old pill-sized tefillin from the period. Besides encasing the entire batim, the paint also extends to the underside of the base creating a case of Hatzitzah for the wearer. Their construction is very different than our modern tefillin. These would roughly fall into our category of Peshutim, but certainly not perudot. The divisions for the four interior housings of the Shel Rosh are created by gluing three separate pieces of leather to the interior of the head compartment, while the division lines from the outside remain purely cosmetic. 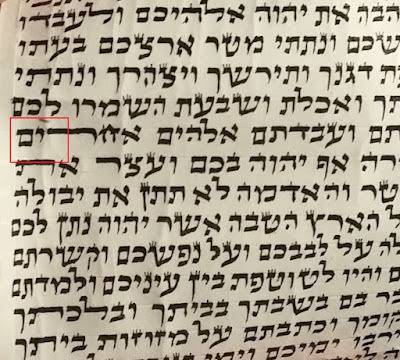 Upon checking the parashiot, the writing is within the"Alter Rebbe" family. The parchments had been checked by a different sofer in the past, and the last parasha of the shel yad -(Vehaya i'm Shamo'a) - replaced with a smaller modern Arizal. Unfortunately, upon my checking, the shel yad did not check-out properly. 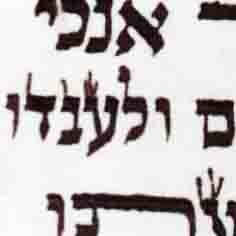 Some of the letters, although correctable, were not "makaf gevil." The landmine, however, in this type of writ; many times involves the writing of the letter BET. Five generations went by using a passul shel yad because a BET in the tefillin has the DIN of KHAF! I have large older Russian parashiot that are still kasher and could technically replace the entire Shel Yad. However, if refurbished, the housings would still be Bedieved. What would you do? Refurbish or buy new? So long as the ribuah is good, I would probably keep the batim unless the customer felt strongly he wants to upgrade. Thank you for your post. Yes, the Bet was rounded at the bottom. The customer opted to keep the batim. I refurbished the shel yad, which needed a lot of work, and placed a set of very beautiful large older Russian Arizal parashiyot that I had within to keep his expenses down. You're right. There's no way to place those thick parashiot in our modern Shel Rosh Batim unless one goes for a size 50. The Batim, don't look to me like Pesutim, rather like Dakot, and don't understand why would it be A upgrade switching to Gasot. About the Beis, if there is a Eikev, meaning a the Moshav sticks out to the right, even if it's round on the bottom it's still a Koshe Beis, and not a Chof. "some sort of square corner" is only needed if there's no Eikev. But would not judge it from a pic. The Beis with a Eikev and round on the bottom you'll find in many old Russian Chabad Parshiyot. In the picture it presents pretty much as though there is no eikev. It is not a case of a round eikev. Regarding the batim, the author writes: "These would roughly fall into our category of Peshutim, but certainly not perudot. The divisions for the four interior housings of the Shel Rosh are created by gluing three separate pieces of leather to the interior of the head compartment, while the division lines from the outside remain purely cosmetic" . Th I don't have them in front of me but from the description, if accurate, they would be far from ideal. ( some of the older dakkos have cosmetic / false charitzim and there is no way to tell from the pucture if this is the case here. Likewise the prudos or lack thereof, if it is as described, would also not be ideal ). Based on the above, the term "upgrade" is appropriate.